Wilmar H. Shiras – The Future is Female! 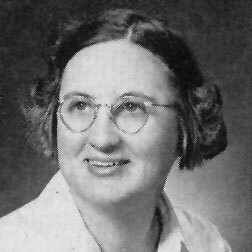 Wilmar H. Shiras in her college yearbook, 1953. Wilmar H. Shiras (September 23, 1908–December 23, 1990) was born Wilmar Alberta House in Boston, her father a machinist and both of her parents Massachusetts natives. She married in 1927 at eighteen, after a year at Boston University, and moved with her husband, a newly graduated chemical engineer, to the suburbs of Los Angeles. There, and in Oakland, California, beginning in the early 1940s, they raised three girls and two boys. In 1946 she published an autobiographical account of her conversion to Catholicism, Slow Dawning, under the pseudonym Jane Howes, using the same name as a reviewer for New Catholic World and other magazines and as a translator of Catholic theology and philosophy. Going back to school, she earned her bachelor’s degree from the College of the Holy Names in Oakland in 1955, and a master’s degree in history at Berkeley in 1956. Shiras is principally remembered for her first published story, “In Hiding” (Astounding Science Fiction, November 1948), and for the “Children of the Atom” series, collected as the novel Children of the Atom in 1953. “Whatever else I wrote,” she later remarked, “came back with a note asking for another ‘In Hiding.’” These stories, which follow the adventures of mutant geniuses who are created by exposure to nuclear radiation, are often identified by science fiction fans and critics as important precursors to Marvel’s X-Men series. 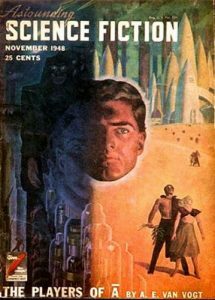 “In Hiding” has been anthologized several times, appearing in major works including The Best Science Fiction Stories: 1949, Great Stories of Science Fiction (1951), Stories for Tomorrow (1954), and The Science Fiction Hall of Fame, Volume II (1973).